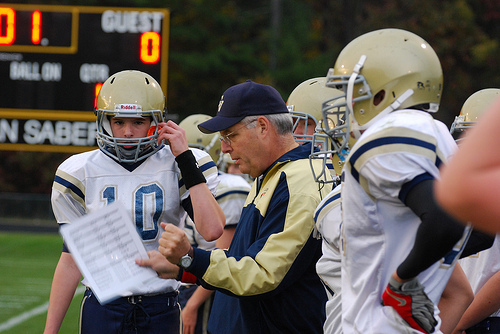 For a number of years I had the opportunity to coach high school football in the fall after summer camp was over. While our team suffered many ups and downs on the field, the offensive line I coached performed well consistently from season to season. I used a simple but effective strategy in coaching my offensive linemen. First I identified a few absolutely critical skills to teach. Rather than having players be mediocre at many skills, we focused on being great at a few key skills. After I decided what to teach, we practiced those skills relentlessly. My goal was for these skills to become habits that my players performed almost automatically. I then developed a system to measure, provide feedback and hold the players accountable for using the skills. The final piece of the strategy was to develop a culture where our players took great pride in how they performed the skills we focused on. - What are the most critical skills our staff must excel at performing? - How can we practice those skills so they become a habit? - How can we measure the use of the skills, provide feedback and hold staff accountable? - How do we create a cultures that encourages, values and celebrates using the skills?